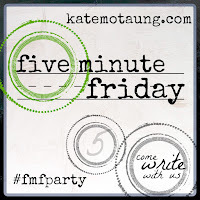 Hey there, Five-Minute Friday fans! Our word for this Friday is "Time". "You only live once." That's the motto of my generation, a.k.a. the YOLO's or the Millenials. There is some truth to that statement. Our time is limited. It's something we spend but can't ever buy back. Once it's gone, it's gone. How we spend our time reveals what is truly important to us. It makes up our life. Am I spending it on what really counts? Since we only get one shot at this, is what I'm doing eternally valuable? Is my life well spent? 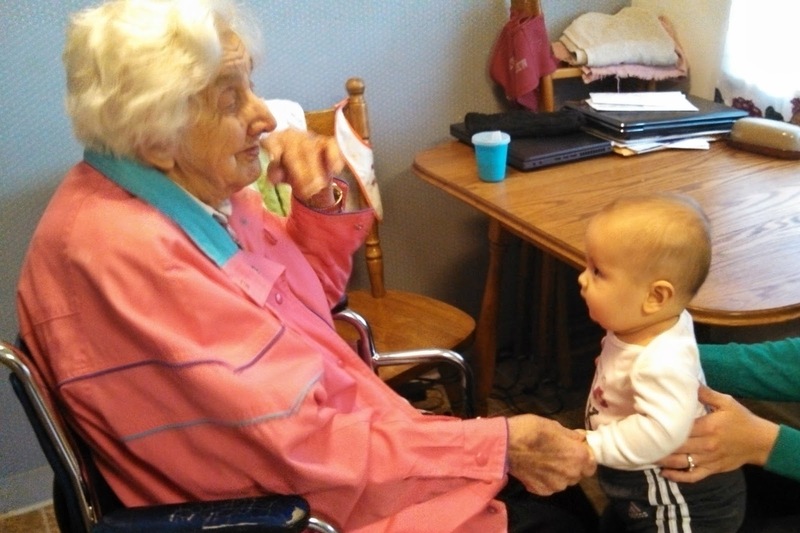 When I head back to my hometown, I stop by the nursing home to visit my Great Grandma. She's 96 years old and as sharp as a whistle. I love seeing her but it is hard to see her at the home and so helpless. The days for her are monotonous and long. Time seems to have frozen in the nursing home. Back in her 20's, I wonder if she ever thought about living to be 96. 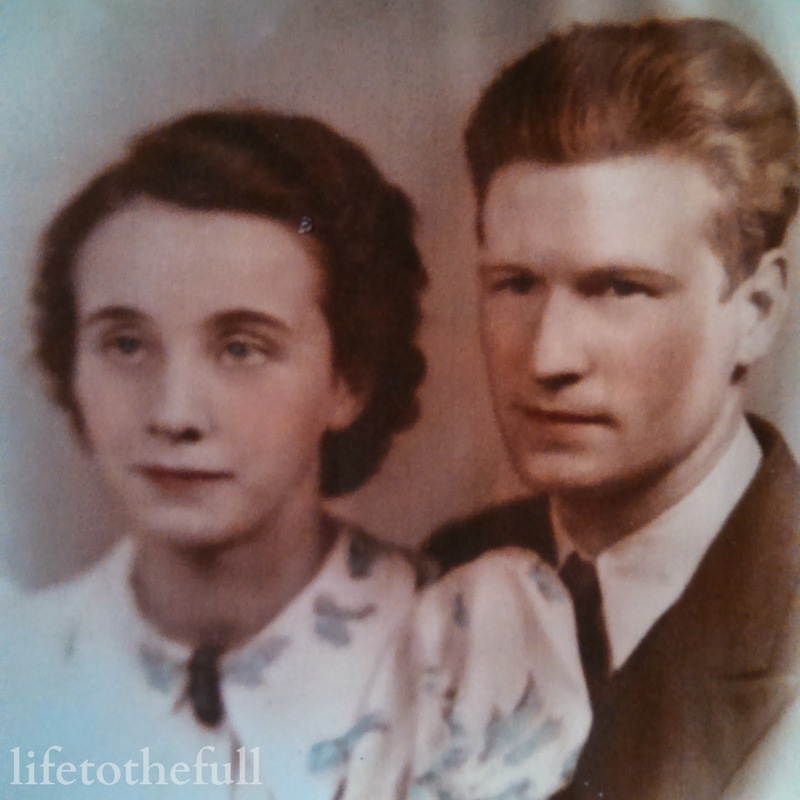 Did she ever dream of having so many grandchildren and great grandchildren? Or even meeting her great GREAT grandchildren? 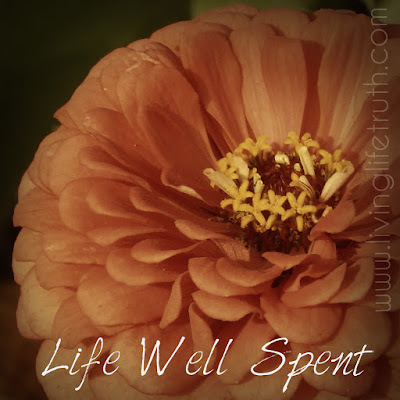 The slowed time at the nursing home leaves much time for reflection. I wonder if she constantly runs through the thoughts of "what if" or "wish I would have...". It is far to easy to live like I will be a 20- or 30-something forever. This is only the beginning. The times with my Great Grandma remind me that there is so much more to life. This life is but a breath and each day is nearer and nearer to my death — and an eternity spent with Jesus. When my life is over and I meet the Lord face to face, will He tell me my life was well spent? Grandma Grace went home to be with the Lord on January 18, 2016 and I know without a doubt that her time here on this earth was well spent. She has been and will always be an encouragement in my life and a true example of a gentle spirit, sprinkled with a little sass. Visiting from Five Minute Friday - I love what you wrote in italics. Your words have inspired me! Nice to meet you, Andrea! I am so sorry for your loss! It is tough visiting those you love in nursing facilities. I am in and out of them everyday. Live your life and enjoy the moments! How ironic that you wrote this post last Friday, 3 days before Grandma passed away. I am so thankful for her AND for the awesome relationship that you two had.